A girl does what she has to do to get ahead, even if it includes working hard and developing her natural born talents. It doesn't hurt if she starts out as a stunning beauty! 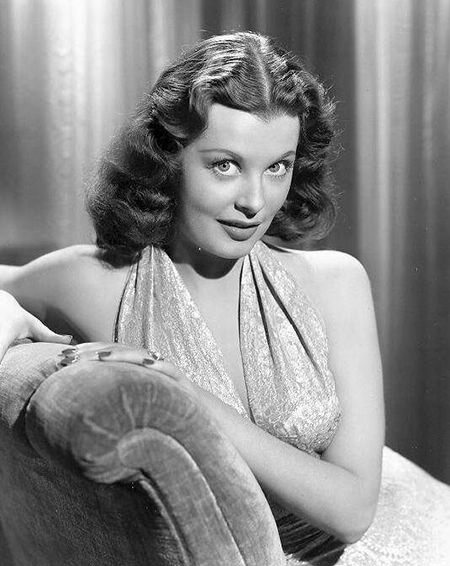 Arlene Dahl was born of good Norwegian stock in Minneapolis, Minnesota, to Idelle and Rudolph Dahl. There are conflicting records as to whether she was born in 1925 or 1928. Idelle Dahl was involved in amateur theater groups around Minneapolis and sent her only child to elocution (speech) and dancing lessons. Arlene was a busy little showgirl at Margaret Fuller Elementary School, Ramsey Junior High, and Washburn Senior High School. After graduating, she joined a drama group, worked as a department store model, and attended classes for a short time at the University of Minnesota. In 1946, she was crowned the Rheingold Beer Girl (Grace Kelly was a Rheingold Beer Girl candidate in 1948, and Tippi Hedren was a runner-up in 1954). The Beer Girl title helped Arlene win a screen test with Warner Bros. Even though it is already a town filled with pretty girls, Hollywood takes notice of the newly arrived Minnesota native. On the day of her screen test, she is invited to lunch in the executive dining room by Gary Cooper. The ultimate Hollywood insider, Richard Gully, a close confidant of Jack Warner's, took Arlene under his wing. She was given the title role in My Wild Irish Rose (1947), but switch to MGM shortly thereafter, where she did her most memorable work. She is given the role of "the other woman" in The Bride Goes Wild (1948). In August of that year, she accompanied US Representative from the Massachusetts 11th District, John F. Kennedy, to a party given by Rita Hayworth and Aly Khan. In attendance were Grace Kelly, Clark Gable, Oleg Cassini, and the Shah of Iran, who attended alone. The Shah invited Arlene to a ski weekend at Sun Valley, but after consulting with Gully, she declined because she was still an innocent. Arlene also appeared in Reign of Terror (1949), Three Little Words (1950), Slightly Scarlet (1956), and Journey to the Center of the Earth (1959). Actor Lex Barker swept Arlene off her feet and married her in April 1951, and they divorced the next year. In 1952, Arlene began writing a syndicated beauty column for newspapers and opened Arlene Dahl Enterprises in 1954 to sell cosmetics and designer lingerie. She also married matinee idol Fernando Lamas in 1954 and gave birth to future TV heartthrob Lorenzo Lamas in 1958. A Star on the Hollywood Walk of Fame at 1624 Vine Street honors Arlene Dahl's contributions to Motion Pictures. Be the first to comment on "Arlene Dahl"